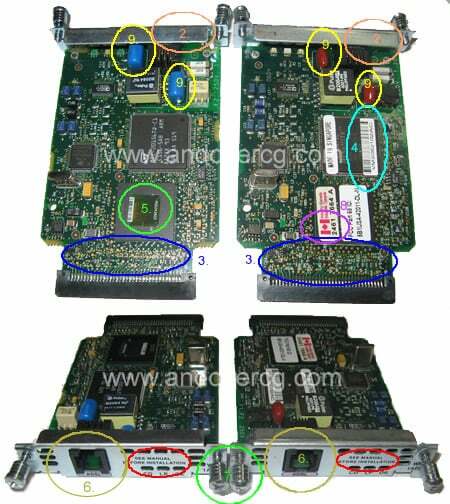 Photograph Comparison Guide or the "Andover Test"
Counterfeit Cisco or Fake Cisco WIC-1ADSL: another counterfeit card for your viewing pleasure! 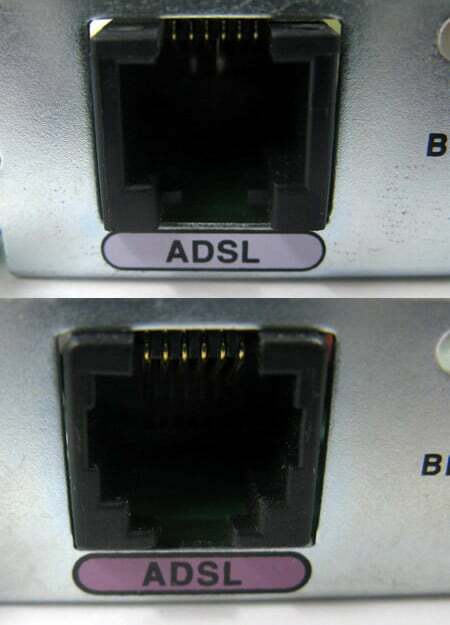 The Andover Test rolls on to look at how to tell a fake or counterfeit WIC-1ADSL from a real WIC-1ADSL. There are fewer easily distinguishable points than the WIC-1ENET and WIC-1DSU-T1s, but still observable. 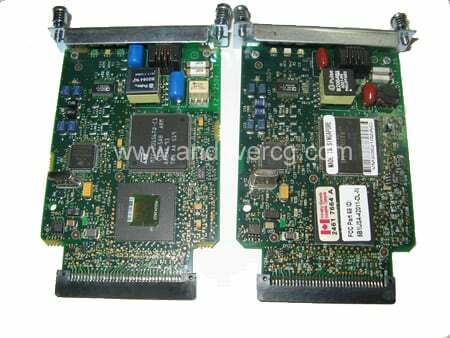 Look at the two Cisco WIC-1ADSL cards below. Can you tell the real from the Fake or counterfeit card? But before you do, BOOKMARK this page as the "Andover Test for Real/Fake Cisco ". This page will likely save you plenty money and time--unless you really want the hassles of counterfeit. Does everyone know that they are selling counterfeit? Or better, does anyone know they are buying counterfeit? Many sellers know. Some sellers don't. But guaranteed, all buyers do not. However, informed buyers avoid counterfeit. "We do not sell counterfeit period." If you do not sell "counterfeit period" then you must be a counterfeit sleuth. How do YOU tell real from fake. Is there some super secret handshake? "We looked up the serial number at Cisco." Good. So please assure that the counterfeit is not smart enough to copy a good serial number. "We bought these directly from Cisco." ...and your dog ate the receipt last night. "I am a CCIE. Do you think I would let a fake card get by me?" So what is the CCIE approved test for real versus counterfeit? "We bought these from the US Government." And we know that local, state and federal buyers are expert counterfeit sleuths and never make mistakes. "We bought these from a Cisco VAR." So how do they tell real from counterfeit? "I already tested them by powering them on." When counterfeits are powered on they do not say 'Psst - I am a counterfeit card'. Oddly enough, they work exactly like real - except with a super high failure rate. Seeing is believing. Power on tests tell nothing. Follow along by setting up a second window with a search on eBay seeking WIC-1ADSL and become a counterfeit WIC-1ADSL sleuth! 1. FRONT OF CARD: Font should not be thin nor easily scratched off. The front metal plate should not be shiny but should be somewhat fuzzy. Too shiny with thin letters indicates counterfeits. 2. 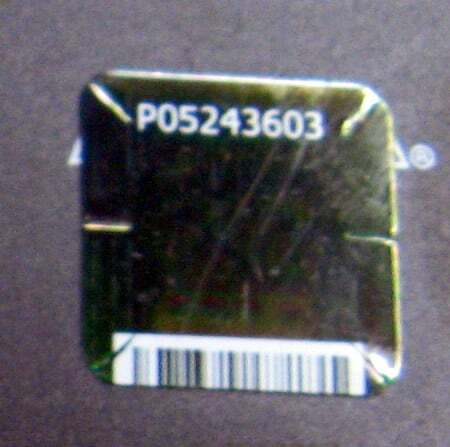 EMBEDDED NUMBERS IN THE METAL: Most fake Cisco WIC cards do not have any numbers embedded in the metal. In the photo, the numbers are to one side on the left card. Sometimes the embedded number may run the length of the top of the metal. 3. 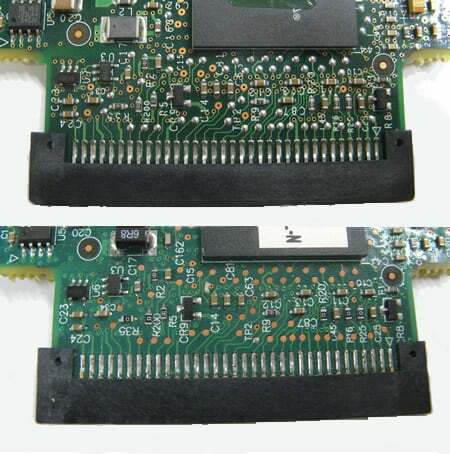 COPPER ON THE CARD: Below are two photographs comparing different parts of the card. Again, if you see copper where silver should be, you have a counterfeit card. 4. 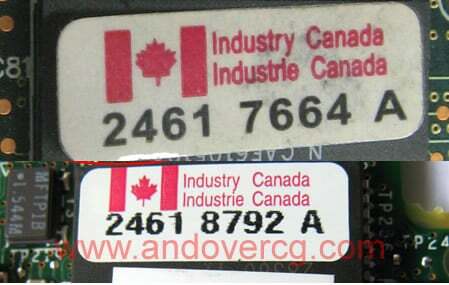 BAR CODE - SERIAL NUMBER - FONT: The next shots are close ups of the serial number tags on the WIC-1ADSLs. Note the differences in the serial number tags. 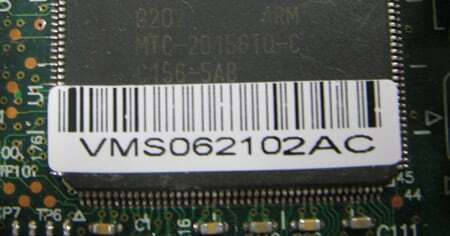 Unlike other Cisco products, the Serial number stickers are white. The bar code should touch the top of the sticker. If there is any space, the card is counterfeit. 5. HOLOGRAM: The GENUINE RJ45 jack has three attributes: a. Stewart, b. 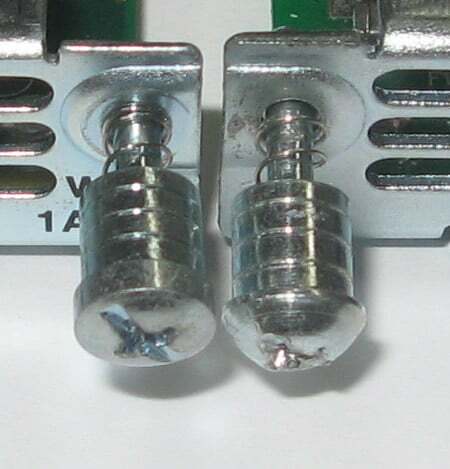 High - low connectors and c. should stick out of the card between 1/32" to 1/16' of an inch. We have observed more. Most important is that the RJ45 jack should not be flush with the card. Close up photographs of the front of the cards are below. 6. RJ11 Jack: STEWART in the center of the Jack is required. The connectors must also be high on the left and low on the right. 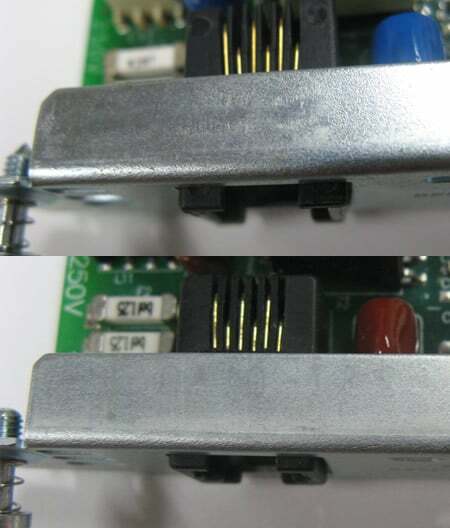 Below shows a counterfeit RJ45 jack. Note also the mid-mid connectors and the extra lip on the bottom. 7. HIGH - LOW RJ45 CONNECTORS: While this is the same photo as above, focus on the connectors. Sometimes you will only have a glance at the connectors in a photo to make a determination if the card is real or counterfeit. 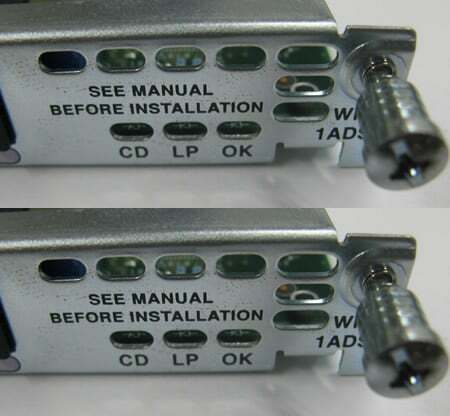 Note that some counterfeits coming out have hi-low connectors. 8. CANADIAN FLAG NOT TOUCHING: The Canadian Flag must always touch the top of the sticker. If it does touch, it is a sign of a counterfeit card..
9. 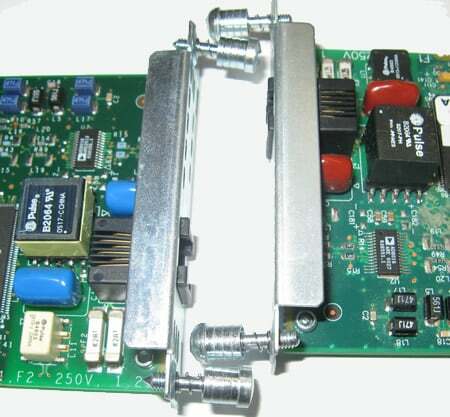 CAPACITOR COLOR: Genuine WIC-1ADSL cards have BLUE colored capacitors. Other colors, such as red, red-brown or brown are indicators of fake or counterfeit cards. Quiz: can you recognize the difference? Now that we have shown the difference between Genuine and Counterfeit. Click on the link below and see if you can tell which of these items on eBay are legitimate and which are counterfeit.